Marie-Dominique Chenu OP (7 January 1895, Soisy-sur-Seine, Essonne – 11 February 1990, Paris) was a progressive Roman Catholic theologian and one of the founders of the reformist journal Concilium. Chenu was born on 7 January 1895 at Soisy-sur-Seine, Essonne, and grew up under the name Marcel-Leon. His parents were bakers near Corbeil. Chenu entered the French Province of the Dominican Order in 1913, taking the name Marie-Dominique and studying at Le Saulchoir, which at the time was located (as a result of the French anti-Church laws of 1905-6) at Kain in Belgium. With the outbreak of World War I and the suspension of teaching at Le Saulchoir, Chenu travelled to Rome in 1914 to study at the Pontificium Collegium Internationale Angelicum, the future Pontifical University of Saint Thomas Aquinas, Angelicum. 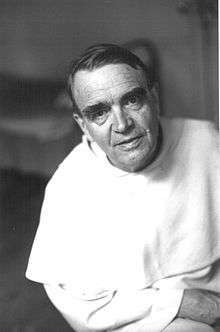 While at the Angelicum, Chenu was ordained in 1919 and completed his doctorate in theology in 1920 under the direction of Reginald Garrigou-Lagrange with a dissertation entitled De contemplatione, which studied the meaning of contemplation in Thomas Aquinas. In 1920 Chenu was appointed Professor of the History of Dogma at Le Saulchoir (and in late 1921 turned down a request from his doctoral supervisor Garrigou-Lagrange's to return to the Angelicum as a lecturer). He began to develop his theological perspective replacing the non-historical approach to Thomism that he had learned from Garrigou-Lagrange at the Angelicum with an historicist reading of Aquinas. At Le Saulchoir he was the teacher of Dominicans Yves Congar and Edward Schillebeeckx. In 1930 Chenu founded the Institut d'Etudes Médiévales de Montréal. Chenu served as regent of studies at Le Saulchoir from 1932 to 1942, and was therefore very involved in the move of Le Saulchoir from Belgium to Étoilles, near Paris, in 1937. In 1937 Chenu privately issued a book entitled Une école de théologie: le Saulchoir. 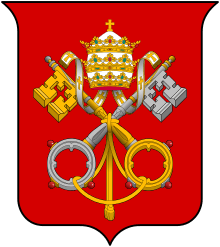 In February 1938 he was called to Rome and reprimanded for this work. Then, in February 1942, Une école de théologie was placed on the Vatican's "Index of Forbidden Books" because of its then progressive ideas about the role of historical studies in theology. He was removed as rector of Le Saulchoir. He would never again teach there. Friends got him a post at the École des Hautes Études in Paris, and he subsequently taught at the Sorbonne and the Institut catholique de Paris. In the late 1940s and early 1950s he became involved, as a friar-preacher, in the nascent worker-priest movement, and its attempts to evangelise the anti-clerical industrial suburbs of Paris. Eventually, in 1953, Chenu was among the French Dominicans disciplined by the Master of their Order, Suárez, supposedly to save them from worse treatment by the Vatican. He was expelled from Paris and moved to Rouen, only being allowed to return to the Dominican convent of Saint-Jacques in Paris in June 1962. According to Christoph F. Potworowski, for Chenu the incarnation is the means by which God acts within and on behalf of creation. 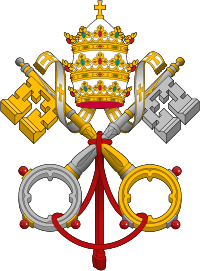 Chenu was invited to be a peritus, or expert, at the Roman Catholic Second Vatican Council (1962–65) where he was influential in the Pastoral Constitution on the Church in the Modern World (Gaudium et spes). Chenu was a forerunner of the ressourcement in theology that preceded the reforms of Vatican II. Chenu played a large role in the reappropriation of historic theological sources that led to the nouvelle théologie. In particular he promoted the return to Thomas Aquinas as a source but rejecting 19th century "modern scholastic" theology. Although his book Le Saulchoir: Une école de la théologie was put on the Index librorum prohibitorum in 1942 by Pope Pius XII and the Holy Office, he was later exonerated and his theology embraced by the Fathers of the Second Vatican Council. Father Chenu can be credited with being the grandfather of the liberation theology movement since Fr. Gustavo Gutiérrez of Peru, who wrote the first book on Liberation Theology, studied with Chenu at the Institut Catholique de Paris, and cites him numerous times in his ground breaking book. Gutiérrez moved to France and become a member of the same Dominican community that Chenu belonged to. In addition, Pere Chenu was teacher to the American Dominican Matthew Fox, since expelled from the order by Cardinal Ratzinger and now an Episcopal priest, who is recognized as the launcher of the creation spirituality movement. It was Pere Chenu who introduced Fox to that tradition and who supported Fox for many years upon his return to America. Thus Chenu can also be called the grandfather of the creation spirituality movement. "A conversation with Père Chenu", Dominicana 50 (1965): 141 ff.